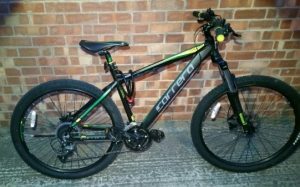 The first round of projects on Sefton’s very own crowdfunding platform have now launched. Seven ventures are now live on the SeftonCrowd – an online platform which allows volunteers and community groups to gain the financial support of people across the borough and further afield so they can create life changing projects. Projects, ranging from the creation of wildflower meadows, a Children’s Literary Festival and a wheelchair-accessible horseback nature trail are now open to receive backing from residents and businesses in Sefton. 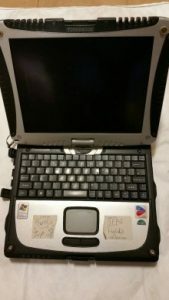 Anyone can support a project for as little at £2 and funding may also be available via Sefton Council’s Community Transition Fund and other national funding pots. 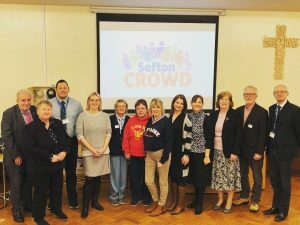 Tanya Wilcock, Sefton Council’s Head of Communities, said: “We could not be more delighted with the reception of our SeftonCrowd initiative and the first round of projects which are now open for support. “Throughout the creation of SeftonCrowd we wanted to encourage the creation of community projects which make a huge difference to our brilliant borough and we feel that these projects from across the borough really reflect our hopes. Sefton’s Year of Friendship has shone a light on the selfless way the borough’s residents support each other. Sefton’s Council for Voluntary Services (CVS) is calling on that community spirit to lead Sefton’s contribution to Pay It Forward Day on April 28. The theme this year is “Our Gift to You, Your Gift to Give”. 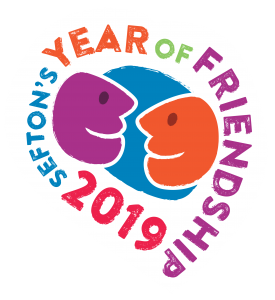 Sefton CVS are hosting two Year of Friendship themed community events at Strand By Me in Bootle Strand Shopping Centre, Friday, April 26, 10am – 1pm and Southport Community Centre, Saturday, April 27, 11am – 4pm. Each event will see volunteers come together, share ideas, stories and create friendship bracelets to mark the occasion. 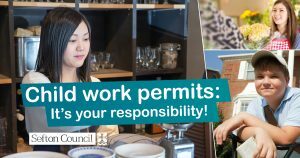 Building on the success of last year’s Pay It Forward Day, Sefton CVS and Sefton Council are asking residents to let them know about any events, activities or simple acts of kindness they are performing so they can spread the word throughout the borough. In the spirit of the day, Sefton CVS are asking individuals and organisations to take part in and organise events across the weekend from Thursday April 25 – Sunday, April 28. 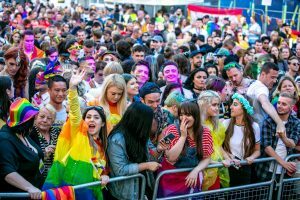 LCR Pride Foundation has revealed its intention to bid for the Liverpool City Region to host the 2026 Gay Games, a move that has been backed by the region’s Metro Mayor, Steve Rotheram. The news also comes alongside the announcement of British Paralympian, Claire Harvey MBE, as its newest Patron. Recognised as a world leader in diversity and inclusion and culture, the former LJMU student is now the Director of Culture and Inclusion for EDIT Development. The Gay Games is a worldwide sport and cultural event that takes place every four years, welcoming more than 10,000 athletes competing in 30+ sports. It attracts tens of thousands of spectators who also attend to take part in the event’s extensive cultural programme, which includes music, visual arts and mass participation events such as fun runs. Speaking of the announcement of the intention to submit a big for the 2026 Gay Games next year, LCR Pride Foundation Co-Chair, Andi Herring, said: “The Gay Games is a globally recognised sporting and cultural event that empowers and celebrates the LGBT+ community, as well as supporting local regeneration in its host cities. “The Liverpool City Region has a proven record for delivering large-scale, world-class sport and cultural events, as last year’s wildly successful Liverpool 2018 programme demonstrated. “We believe that this experience, combined with the foundation’s commitment to collaborative working and making the city region the most LGBT+ friendly in the UK, makes Liverpool City Region the perfect host city for the 2026 games. To date, only Brisbane in Australia has highlighted its intention to bid for the 2026 Gay Games. Bids will be submitted in 2020 and the successful city will be announced by the event’s sanctioning body, the Federation of Gay Games, at its Annual General Meeting in Hong Kong in 2021. “Diversity, respect, equality, and solidarity for all are the foundation blocks on which the Games are built, and they are values we share. “Our region is well accustomed to holding sporting events that attract a worldwide audience. The Merseyside Derby, Rugby Super League, The Open and the Grand National are regular features in our sporting calendar but never before have we held anything on the scale of the Gay Games. New LCR Pride Foundation Patron, Claire Harvey MBE, said: “Becoming a Patron of the LCR Pride Foundation as they make this exciting announcement is incredibly special for me, not least because I attended university here. “I know first-hand the power and benefit that sport can have on a person’s life and on a community. Sport is a vehicle that can bring people together and bridge differences to start a culture change. “I am backing this bid to enable more people to see the breadth and depth of LGBT+ people who already love sport, as well encouraging more people from the community to access its benefits. I also want to showcase the Liverpool City Region as a diverse and inclusive LGBT+ friendly area, with a strong and positive LGBT+ community. For more information visit www.LCRGayGames.com or follow us on Twitter @LCRGayGames or Facebook at LCR Gay Games 2026.